IMDb’s released their annual lists of the Top 10 Stars and Top 10 Breakout Stars of 2018. The lists represent actors from films and television series who have garnered the most page views on the website over 2018. 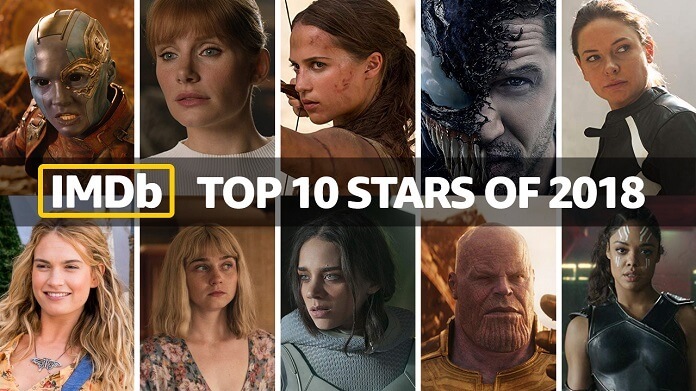 The Top 10 Stars list represents celebrities who “consistently ranked highest on the IMDbPro STARmeter chart throughout 2018,” per IMDB. The Breakout Stars list consists of actors who made the Top 100 list for the first time, with the 10 selected being the actors who ranked highest most consistently.